Deep UK ranking lists for all age groups in 2018, top 12 merit rankings, all-time lists, results etc. 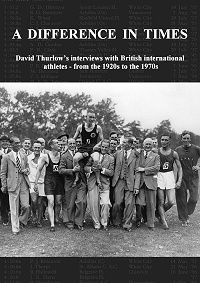 David Thurlow interviewed more than forty former stars of British athletics, most of them Olympians, for “Track Stats”. These are now collected in this profusely illustrated book. The candid and entertaining memories span the period between the 1920s and the 1970s. They include Sydney Wooderson, Dorothy Tyler, Derek Ibbotson, Sir Chris Chataway and Lord Terence Higgins. In many cases these were their last published interviews, a unique record of what it was like to compete when the sport was strictly amateur. With hindsight gained by earning their living in other fields, these likeable veterans give fascinating comments on the way the sport has developed. Fully indexed and with an introduction and afterword on the interviewer, David Thurlow. Walks booklet back in stock after selling-out. All purchasers may now pay by PayPal. A leaflet of updates and amendments is also available, Walks_updates_2016.pdf (155KB). 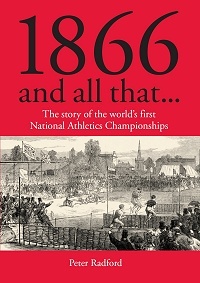 The whole story of the world's first national athletics championships, with complete results. 254 A5 pages, with complete results of the AAC Championships 1866 to 1879, and painstakingly constructed yearlists for each year to 1880. 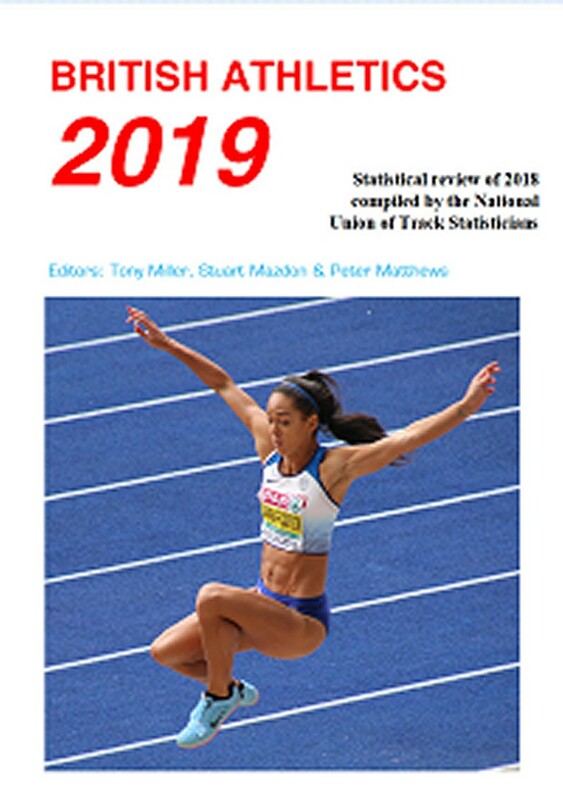 The organisation was founded in January 1958, based on the same lines as the A.T.F.S., and similarly devoted to the collection and dissemination of statistics in Track & Field Athletics. 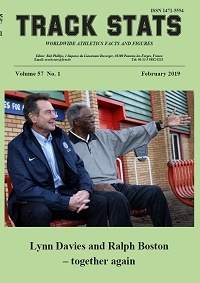 The first comprehensive U.K. annual lists were published in Athletics Weekly at the end of 1958, and these formed the basis of British Athletics 1959, which was published by the British Amateur Athletics Board. 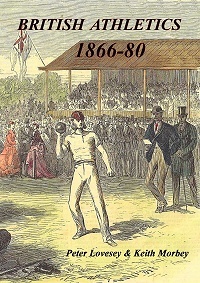 As the authoritative compendium on U.K. athletics statistics, and widely known as "The N.U.T.S. Annual", British Athletics has been produced each year since 1959. The title was changed to U.K. Athletics from 1974-1982 (when published by the N.U.T.S. ), reverting to its original name from 1983 (once again under the aegis of the B.A.A.B.). The Annual was published by Umbra Software Limited from 1993 to 2010 and by the NUTS themselves from 2011. All-Time lists for both senior and junior age-groups have been produced at regular intervals, and there has also been a thriving Bulletin, originally entitled N.U.T.S. Notes but now known as Track Stats, and in its 52nd year of publication. Follow the menu for information about publications. The organisation is governed by its own Constitution under an Executive Committee comprising Chairman, Secretary, Treasurer, and a minimum of 8 other members. These officers, who are all voluntary, are elected each year. Membership includes subscription to the NUTS quarterly magazine Track Stats. Members may also purchase copies of the British Athletics annual at a reduced rate. A membership application form is available as an Adobe Acrobat document. For more information about membership of the organisation, please contact the Membership Secretary, whose details are listed below. Spreadsheets are available that complement the series of articles in Track Stats. Committee The first meeting was held on 2 April 1958, the above named being joined by Len Gebbett and Chris Lindsay. Treasurer Peter May was elected later in 1958. Norris McWhirter C.B.E. succeeded H.M.A. in 1979, following the latter's death in January 1978. Sir Eddie Kulukundis succeeded N.D.McW. in 2004, following the latter's death in April 2004. Peter Radford became President in 2009, with Sir Eddie continuing as President Emeritus.